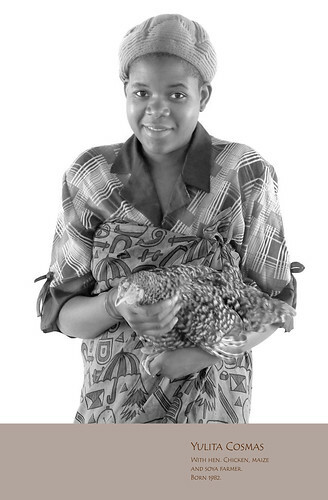 Yulita Cosmas, a chicken farmer in central Malawi, with one of her hens (photo credit: ILRI/Stevie Mann). A publication, ‘Understanding and Integrating Gender Issues into Livestock Projects and Programmes: A Checklist for Practitioners’, from the United Nations Food and Agriculture Organization (FAO) is due to be published soon. It is being produced by Francesca Distefano, FAO’s gender and development specialist, with main technical inputs from Raffaele Mattioli, senior officer from FAO’s Animal Production and Health (AGA) Division, and Regina Laub, senior officer from FAO’s Gender, Equity and Rural Employment (ESW) Division. This publication benefitted from contributions provided by several livestock experts from FAO as well as from the International Livestock Research Institute (ILRI), the International Fund for Agricultural Development (IFAD) and the Global Alliance for Livestock Veterinary Medicines (Galvmed). These inputs were collected during an FAO-ILRI Training Workshop on Understanding and Integrating Gender in Livestock Projects and Programs, funded by FAO’s AGA and ESW divisions and held at ILRI in November 2011 in Addis Ababa, Ethiopia. The training workshop was an excellent fora to stimulate discussion around the key gender issues in livestock management and an opportunity to collect lessons learned and good practices. The publication is yet not finalized but you can view the report emerging from the training by ILRI’s Jemimah Njuki and FAO’s Francesca Distefano. That training workshop report says that livestock represent a key asset in rural areas and that many of the workforce managing small stock are women. In Kenya, for example, 55% of household income derives from livestock-related activities (52.7% male-headed households and 68% female-headed households). In Tanzania trends are similar, with livestock contributing 69% of the household income, 68% and 75% for male and female-headed households, respectively. The main livestock-related constraints the women face, the workshop report says, include too little access to livestock services, credit, technologies, trainings, information and markets; poor participation in decision-making processes and farmers’ cooperatives; and limited control over household income. The new FAO publication, ‘Understanding and Integrating Gender Issues into Livestock Projects and Programmes: A Checklist for Practitioners’, is designed to facilitate gender analysis in projects and programs in the livestock sector to enhance effectiveness and efficiency in the sector. An earlier version of this article (27 Jan 2013) quoted the new FAO publication, which has not yet been finalized; we regret the error and have amended this post accordingly. We will announce the new FAO gender publication when it is finalized and published. Tags: FAO, Jemimah Njuki. Bookmark the permalink.